Most transit-oriented development so far has been clustered on the North Side and Near West sides, the Metropolitan Planning Council found, reinforcing decades of underinvestment in segregated neighborhoods. 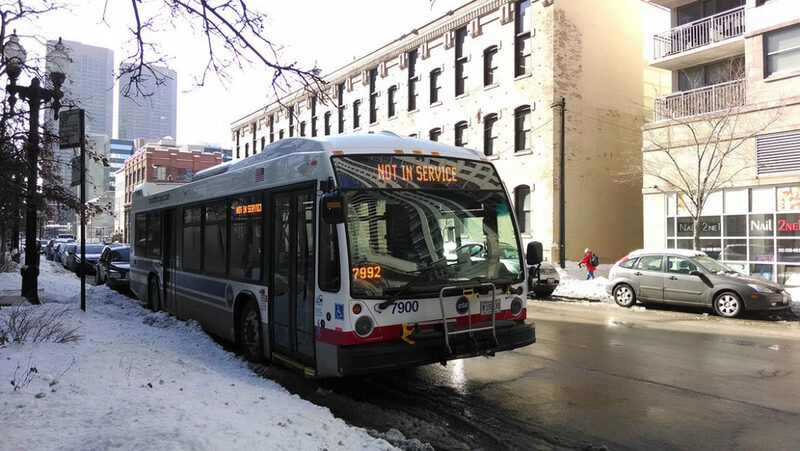 Late last month, Chicago’s City Council passed an amendment to expand development incentives to a new mode of transport: high-ridership bus routes. Expanding on its existing Transit-Oriented Development ordinance, which encourages new development near transit, this change will bring tangible benefits of transit located near retail, schools and affordable homes to areas on the South and West sides that have been overlooked and underinvested for decades. What’s more, the new policy, for the first time, will be equitable. Simply put: the city must look at the last five years of development under TOD rules and answer some fundamental questions: What communities have benefited? What communities have been at a disadvantage? How do we create a more level playing field so TOD tools can be successful in any Chicago neighborhood? In Chicago, place matters. Residential segregation has a lasting impact on local housing and commercial markets and evidence shows that transit-centric development, while the smartest way to grow, can exacerbate the economic divides across our deeply segregated city. New Metropolitan Planning Council analysis reveals that three-quarters of transit-oriented development activity has been clustered in the already-privileged North and Near West sides, not on the South and Southwest sides where investment along underdeveloped transit corridors could truly be catalytic. MPC mapped TOD-eligible building developments valued at more than $900,000 when the ordinance passed in 2013, and found the geographic distribution both stark and unsurprising: South Side neighborhoods, with a wealth of underutilized land near transit experienced only 25 percent of the TOD activity. Transit-oriented development is a tool that needs different support across different markets. Chicago’s new policy has the potential to spearhead an integrated approach to development — one that accounts for local market conditions and leverages resources to stabilize neighborhoods in need of economic investment. Encouraging development near bus routes and formalizing an equity-grounded implementation plan are two steps in the right direction, toward a city that works for all of us. Kendra Freeman is director of community engagement at the Metropolitan Planning Council and is responsible for leading the Equitable Transit-Oriented Development (eTOD) program which includes research, policy advocacy, outreach and providing technical assistance to communities. Follow her on Twitter @kendrajfreeman. The city is overdue for rent stabilization measures that would help stem gentrification and displacement. The Chicago Transit Authority plans to acquire some homes to extend the “L” and affected residents want to ensure they’re fairly compensated in neighborhoods that have been especially slow to recover from the housing crash. The long-awaited expansion of the “L” could mitigate the impact of historic policies that fueled segregation and disinvestment in black communities.